This is the year to forego making New Year’s resolutions to become thin, bring about world peace, or keep one’s house, kids, pets, work and life organized. In fact, if we’re bothering to make New Year’s resolutions — and forty-five percent of Americans usually do — this is the time to opt for itty bitty goals. These are a far cry from the list of our common intentions, which for 2014 are: lose weight, get organized, spend less and save more, enjoy life to the fullest, stay fit and healthy, learn something exciting, quit smoking, help others fulfill their dreams, fall in love, and spend more time with family. The problem with resolutions that are grand in scope, such as “enjoy life to the fullest,” is that we usually fail to achieve them. For this one, it probably takes a year to figure out where to begin. The success-rate gets worse as we age. Nearly forty percent of people in their twenties manage to fulfill their resolutions in a given year compared to fourteen percent of people over fifty. I’m not sure what this says about the latter group. Too busy taking care of grandkids or traveling around the world? Or do we just forget them shortly after we make them? I’ve made three small resolutions: drink water (any number of glasses would be more than I normally drink), do curl-ups (again, no number required) and read a “New Yorker” article of any length every day. After choosing these, I came across a “Seattle Times” blog by Thanh Tan (12/31/13) that cemented my decision. The blog contains a link to a TED talk by Stanford researcher BJ Fogg, Ph.D., who says that successful behavior change requires starting very, very small. He uses his own experiment as an example of this, losing weight and becoming stronger over the course of a year after taking the first tiny step: performing two push ups every time he went to the bathroom. In time two push ups became fifty or more. Fogg would argue that my resolutions are still much too large. (In the TED talk he persuaded his audience to floss one tooth) but they seem quite manageable. They connect to bigger goals of weight loss, building core strength and balance, and finding more possible blog topics. Even if the New Yorkers don’t inspire a blog topic, I’ll run into fewer magazines strewn around the house. Fogg adds another step to his regimen, which is to praise yourself for being “awesome.” Since drinking water and my other resolutions don’t strike me as fitting any possible definition of ‘awesome,’ I’ll forego that strategy as well as dump the resolution to bring about world peace. 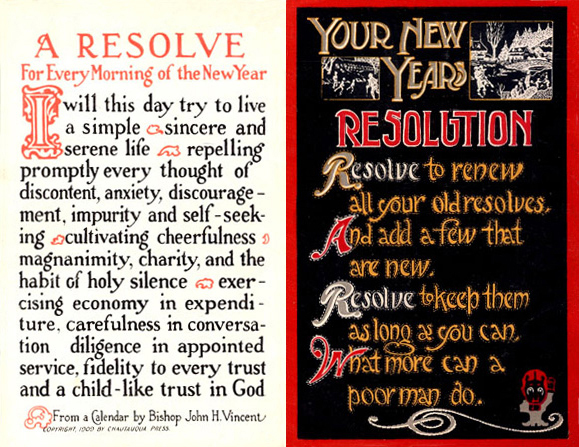 This entry was posted in personal reflections, seasons and tagged New Year's resolutions. Bookmark the permalink.